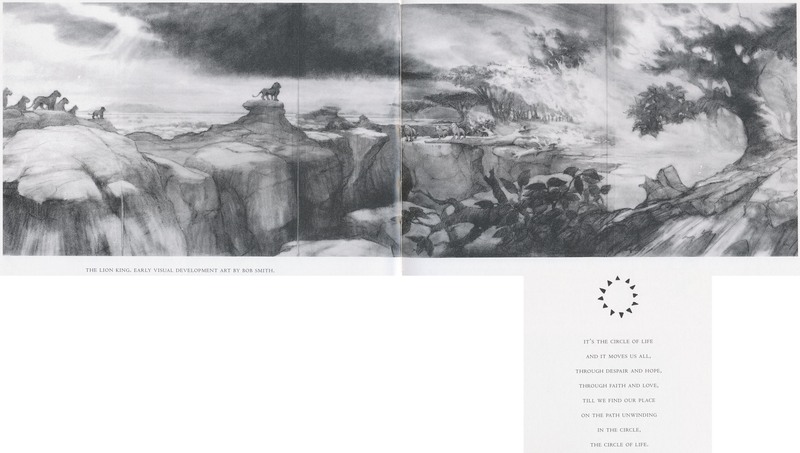 "King of the Beasts" - TLK scripts from 1990! A long time ago in a galaxy far, far away... oh wait, wrong story! Someone posted two original The Lion King scripts from the 1990! Rafiki was named Kwashi back then... and he was the narrator! Simba: Hey. I really am looking for my cousin. Have you seen her. Baby baboon 1: Maybe Uncle Kwashi know. Baby baboon 2: Yeah. He know everything. Kwashi: (When Kwashi speaks we recognize his voice: he's the narrator.) What have we here? Simba: Papa, what was that ugly thing? Simba: No, the one that tried to eat us. Kwashi: "you must remember that I knew his father, Mufasa, as a cub, and knew Mufasa's father too." Zazu, napping away in Mufasa's mane, is disturbed by his master's facial acrobatics. Simba: Want to play "King of Beasts"? Nala: How do we play that? Simba: I go to sleep and you hunt me up something to eat. Maybe we should cut that into a separate thread? I never made it through the older script. I can't put my finger on what's wrong with it, but I couldn't read it for long. Thanks for the quotes, they're fun! The newer one, on the other hand, is very interesting. And it explains why some amazing but totally out-of-context illustrations in TAoTLK book come from, like this one. But I can see why it never made it into production, and I very much prefer the final version over this one. Update: the pics being discussed here also illustrate one of these scripts.